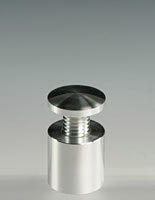 Size (Diameter x Depth): 0.75" x 0.75"
Fastener can used indoors and outdoors due to it stainless steel exterior! 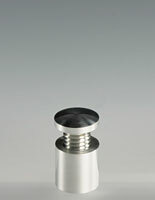 Sleek and stylish standoffs are able to help made a display with has clean lines & modern appeal. 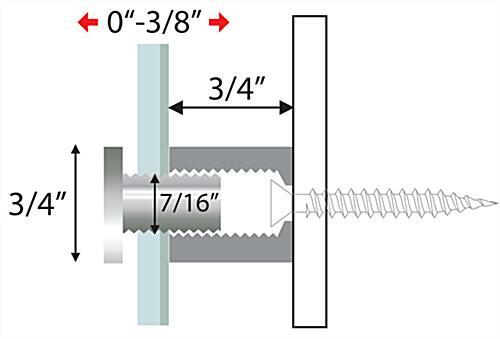 This type of through style designof spacer is easily used to mount wood, plastic, or glass panels! 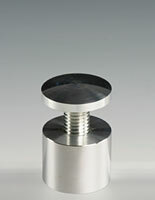 This stainless steel standoff comes with everything necessary for users to properly attach the signage or directory panel to the mounting area. The only thing necessary is the panel for custom messages! 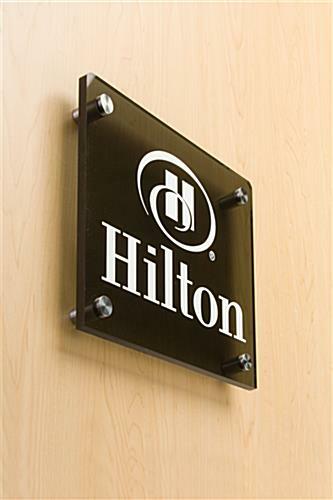 This signage holder, stainless steel standoff requires four 7/16" holes in the desired sign. 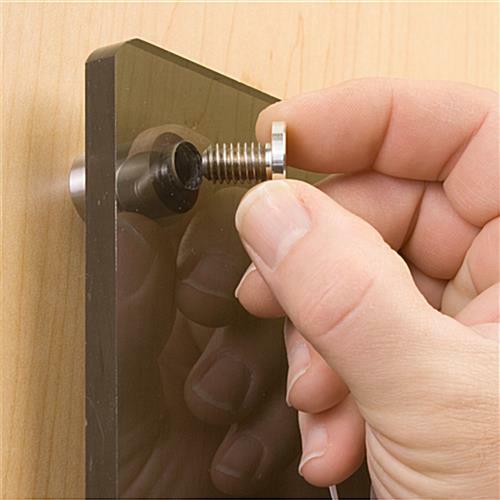 The mount will affix to the display surface using the provided screws and wall anchors. 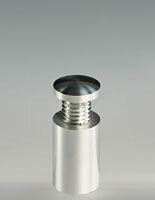 This stainless steel standoff will then slide through the specific boards. 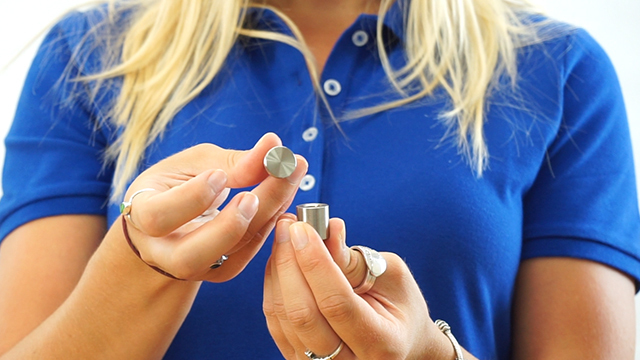 After placement, the cap then may be screwed on by hand. 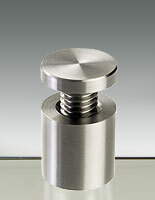 This stainless steel standoff, called threaded mount, has a simple but elegant appearance. 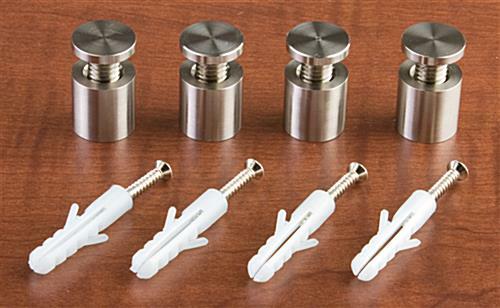 The mounting systems are sure to make a big impression. 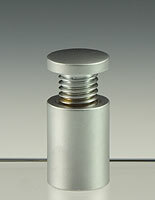 This stainless steel standoff may be used to affix a sign panel or directory board to almost any wall or mounting area. Users are free to try the unit on their interior walls. 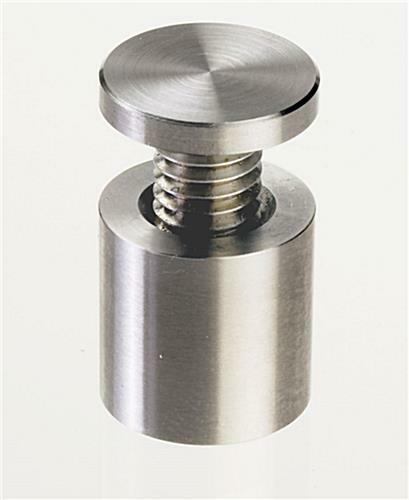 This threaded mount, stainless steel standoff differs from other poster frame and wall-mounting image fixtures because the unit is designed to go through a panel or board instead of simply presenting a picture. Due to this fact, the mount creates a more modern looking advertisement. 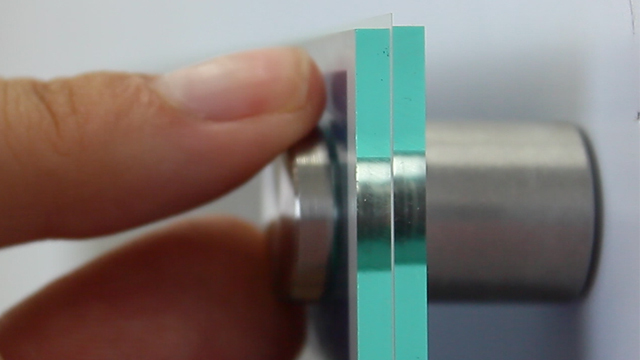 This stainless steel standoff gives users the ability to easily place advertisements on interior or exterior walls. The attractive exterior allows users to update the look of the message boards to a more upscale appearance. 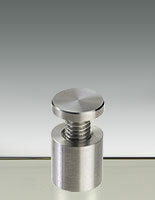 Each unit includes (4) standoffs for mounting (1) panel.